Hey guys, I'm using my Sigma Arts full time, and now that I've parted with my SLR Magic Anamorphot, I'm going to be parting with my backup set of Nikkor Primes, as I just use the Sigma Arts for everything now. 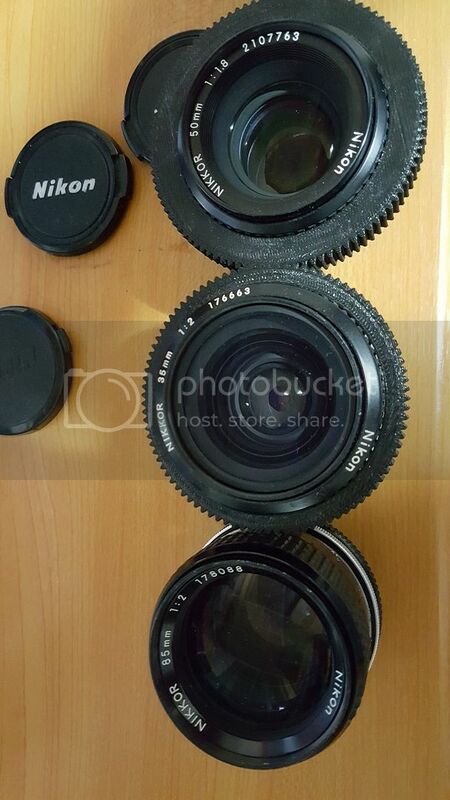 This is an EXCELLENT starter set of primes for the necessary focal lengths. I primarily kept these lenses around because they were the only 3 that worked very well with the BMCC + Speed Booster + Anamorphot combo. So if that 1.33x anamorphic combo is important to you, then these lenses are ideal for ANA shooting. 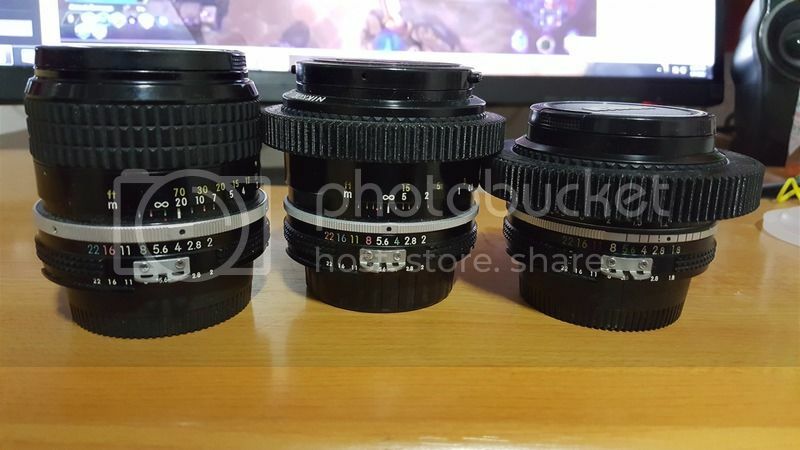 They are the 35mm f2 AI, 50mm f1.8 AI, and 85mm F2 AI, they are in excellent optical condition, with the 85mm having tiny tiny, hairline cleaning marks. Absolutely no fungus and haze, come with front/rear caps and the very excellent helicoptersean for the 35 and 50. I don't have one for the 85, but sean can hook you up no problem. The AI lenses have the same optics as AIS, which are excellent, but longer focus throw, and with the expanded diameters on the gears, the throw is very very long. I would like to move them as a bundle, and will be dropping the price as a whole to move them. 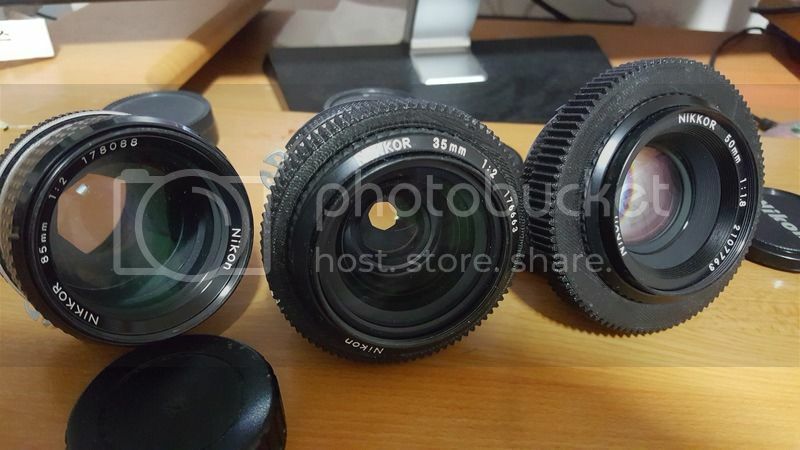 $300 for the whole set (The 85mm goes for $200 itself) plus the focus gears for free. Shipping is gonna be low or split depending on where you are in the world. Will ship worldwide. Paypal please, so PM me or email me at innersparkfilms@gmail.com if you're interested or have any questions! Thanks guys!